Pegasus MSE Series Magnetic Stripe Card Reader/Writer, is designed to offer a card reading/writing solution for ISO 7811-6, ANSI formats, It reads and writes up to 3 tracks of data, e.g. decoding/encoding and verifying up to 3 tracks of data simultaneously. 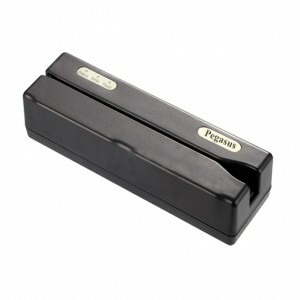 Provides a standard RS-232 or USB interface to communicate with a host system or other terminal computers.It's an ideal magnetic stripe card read/write device designed for credit card verification and various card related applications. It can encode and read data of stripe in the bank passbook and card. Obtaining read/write parity functions together.